If you were to ask me how I became interested in trying to eliminate processed foods from our diet, I would tell you that it started with butter. I can't exactly remember when I first learned the ugly truth about margarine, but I know that because of it, my eyes were opened and I began researching the foods we were eating. I was quite disturbed to learn about all the artificial ingredients and artificial coloring that's added to our foods. I become aware of how far removed we have become from what real food is and where it comes from. Let's be honest, folks, we have a whole generation of children being raised right now who don't even realize that their milk comes from a cow and their veggies (if they're even eating veggies) come from a plant. Around this same time, I become a mother and I knew I wanted to do the very best I could for our son when it came to his health. The other issue we were facing at that time, was that my husband had just received the news that his cholesterol was running a little higher than normal. He was way too young to be dealing with high cholesterol. 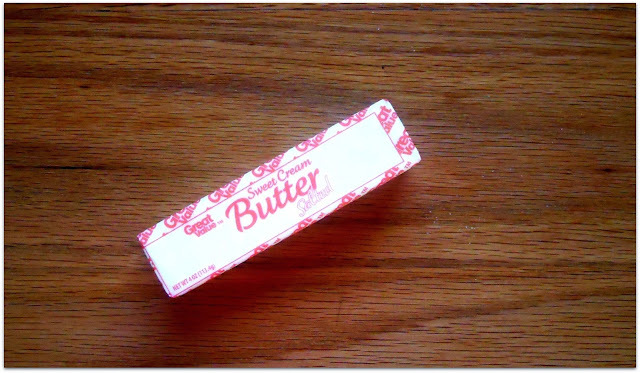 I began to purchase real butter instead of margarine hoping it would help my husband's cholesterol level go down. I am happy to say that it did and that I have purchased nothing but real butter for ten years now. Yes, it's more expensive, but isn't your health worth it to you? At this time, we are unable to afford organic butter, so I buy what our budget allows and I am okay with that. This is what started our family on a journey of adding more whole, unprocessed foods, to our diet. 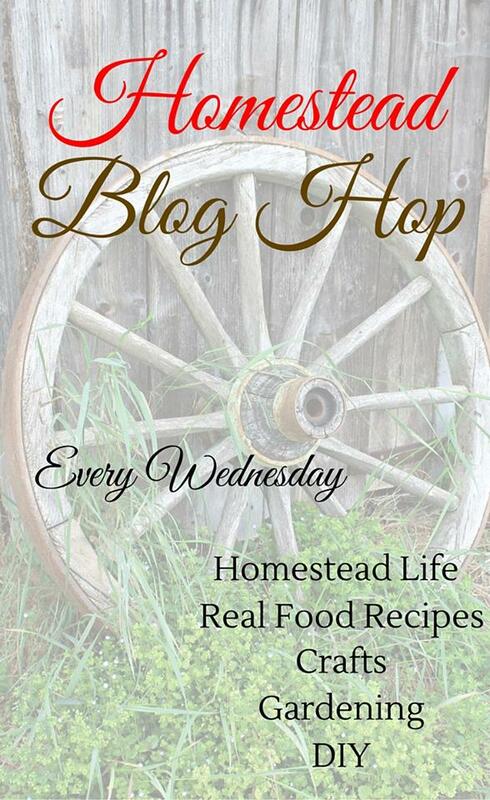 Over the years, I have learned to make homemade bread, garden, can produce from our garden, check ingredient lists on foods, try to buy more local, and added quite a few kitchen gadgets to help with all of these things. Through the years of learning about food, how it's made, and where it comes from, we shifted once again to incorporate a more sustainable lifestyle approach on our journey. There are so many different areas to learn about and to implement into your life. I have told my husband many times that I don't have enough years left to do all I want to do! I have so many things I want to learn still. Just a few of these are making yogurt, making tortillas, getting chickens, ducks, and possibly other farm animals. 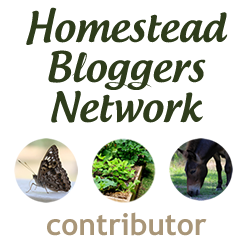 Also, if you check my side bar on the blog, you will see a button for Homestead Bloggers Network. These people are awesome! They have so many articles and blog posts to help you on this journey. They cover everything from gardening to essential and beyond. I will close this post with letting you know that we are by no means perfect on this journey. You will still find processed foods in my refrigerator and pantry, and I have drawers that contain lots of chemical filled hair and makeup products. This is a process, folks. You cannot change your whole lifestyle overnight. Do what you can, where you are, right now. As I find better, more natural, replacements, I try to switch over to them. And some things I still eat and drink, even though I know they are not the best for me, just because I want to. I refuse to become a legalist about it. If I am able to help someone else out on their journey, then I am happy to do so, but you will not be judged or condemned by me for your lifestyle choices. I think we are all so wonderfully made and we all have different areas we are called to excel at. We are on the journey too. Going on 4 years now, and so much has changed. Hubby always thought I was nuts for each change we've made, but he eventually came around. Nowadays he and I are more often on the same page about this subject. He even talks to other people about it, which I think is awesome! We aren't able to eat the best all the time, we're one income and barely making it. I think the important thing in this journey is the constant learning and knowledge about where our food comes from and what is really bad for us... and doing the best you can. Nobody is perfect. Funny, I was raised on margarine, because it was the "healthy alternative" to butter. guess we are ALL thinking a bit differently these days!